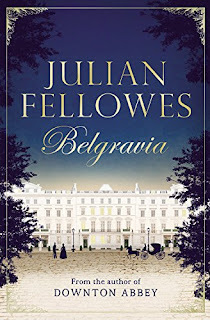 Julian Fellowes’ Belgravia is the story of a secret. A secret that unravels behind the porticoed doors of London's grandest postcode. Set in the 1840s when the upper echelons of society began to rub shoulders with the emerging industrial nouveau riche, Belgravia is people by a rich cast of characters. But the story begins on the eve of the Battle of Waterloo in 1815. At the Duchess of Richmond's new legendary ball, one family's life will change forever. 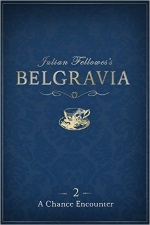 The Victorian-era serialized novel meets the digital age; Julian Fellowes’ Belgravia is breaking new ground in publishing. 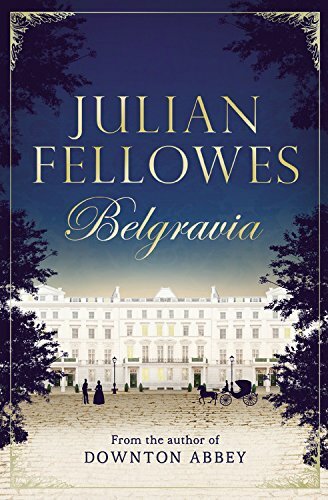 The era of Downton Abbey has come to an end, but thanks to the creativity of Julian Fellowes, we have more work from his imagination, that in the form of an episodic novel entitled Belgravia. Like Charles Dickens in his day, Julian is releasing portions of his book in segments, giving us morsels of story to enjoy for about a week at a time. Like our experience with Downton, we have to wait for short periods to take in the entire work. Thus far I’ve read the first four episodes, and I’m thrilled to report that this Downton fan is thoroughly entertained and yearning for more in the coming weeks. For those of you who haven’t read any of Belgravia, I offer a brief summary of what has come thus far in the saga. If you’d rather not know a thing about the story, skip down to below the next dividing line so that you can enjoy Belgravia with a blank slate in your mind. What a grand episode this was! 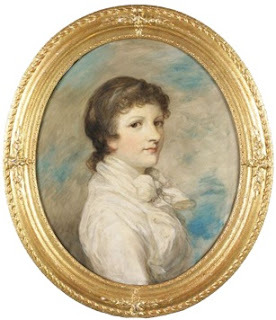 It’s 1815, and we meet Sophia Trenchard, the beautiful and young daughter of James Trenchard, a tradesman who seems to value social climbing above all else. He’s an industrious man, and while his age and nationality isn’t always comparable, he reminded me of another PBS character, Mr. Harry Selfridge. 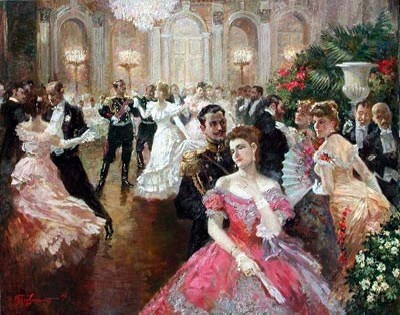 Sophia has procured a valuable invitation to a grand ball, much to his delight, and with his wife the three attend the glittering event, even as war looms upon the horizon. We learn that Sophia is in love with Edmund Bellasis, the nephew of the hostess, the Duchess of Richmond. While this would be an advantageous match for the Trenchard family, it would not be so for the Bellasis clan. This doesn’t seem to concern Edmund, and as he says goodbye to Sophia as he is suddenly ushered off to battle, they seem to be very much in love. Alas, tragedy befalls the Bellasis family, and Edmund is later killed in action. At the end of the episode, James Trenchard brings the devastating news to his daughter. I offer a shorter synopsis of this episode. There are a couple of plot revelations that happen in this portion that were quite surprising, one in particular. And although I offered a spoiler warning earlier, I simply cannot divulge some important aspects here. Suffice it to say, I was riveted while reading these particular pages. The interaction between Anne Trenchard and Lady Brockenhurst was pure Julian Fellowes, and I loved every moment. Things move quickly in this portion of the story, and I was eager to move on to Episode 3. This third portion was not as compelling as the others, but it contained the necessary pieces to continue in the construction of the story as a whole. We come to meet more members of the Brockenhurst family, the Bellasis clan, which of course are related to Sophia’s love, Edmund. Estate issues are covered quite a bit, and the less-than-admirable characters of these individuals are sketched by Fellowes. In addition to this story line, Lady Caroline Brockenhurst plans a soirée, one that includes the Trenchards and a particular fellow named Charles Pope. He is a pivotal character in the lives of the Trenchards, and Caroline is not only eager to get to know this young man, but she also wants to invest in his business. While grateful, Pope is surprised at her interest in his meager enterprise and at her invitation to join her for the At Home the following Thursday. Likewise, Anne Trenchard is surprised to receive such an invitation from the haughty Caroline Brockenhurst. She has no desire to attend the event, but her social-butterfly husband would no doubt require their attendance. Shortly following the invitation, Anne also receives a note from Caroline that not only shocks her, but suddenly creates a strong desire to attend the post-dinner reception. This episode was quite delectable. The importance of Charles Pope continues to be revealed more and more. I loved the post-dinner reception scene, with Caroline ushering Charles about, introducing him to the glitterati, and everyone wondering who this young man was. It was almost a Cinderella moment for him. In this Caroline and Anne share a life-changing secret, and while Lady Brockenhurst has promised not to reveal it, she skirts the line of truth so closely; it takes Anne’s breath away. Should the mystery of his identity be divulged, there would be serious consequences, particularly for the Trenchard family. Anne is more than just a trifle anxious. I loved the tension within the reception scene. Anne is absolutely struck at seeing Charles for the first time, and she’s terrified of what his presence may reveal. Likewise, a related secret is exposed between Mr. and Mrs. Trenchard which sets them at odds in a way I found quite amusing. A new character, the beautiful (and very much engaged) Maria Grey joins the story, as she meets Charles Pope while getting a bit of fresh air during the Brockenhurst event. I highly enjoyed their conversation, as their chemistry was palpable, and she shows herself to be intelligent, not just a pretty face. I look forward to more developments between them in upcoming episodes of Belgravia. Thus far Belgravia has lived up to my lofty expectations. It holds the grandeur one would expect from Julian Fellowes, as well as the riveting narrative, colorful characters and enticing secrets. The touch of romance is always welcome, and I also enjoyed the occasional “upstairs/downstairs” aspect of the novel, as Fellowes engages with the hired help on occasion, a la Downton Abbey. The decision to release this novel in an episodic nature is such a delight, giving us a small taste once a week to enjoy. In addition to reading the text, I’ve also downloaded a couple of the episodes from Audible.com, which are affordably priced. Belgravia isn’t simply a novel that’s being released to us, it’s a literary event covering multiple platforms in a truly accessible way. I hope my readers join me in this narrative journey as we once again enjoy the fruits of the imagination of Julian Fellowes. 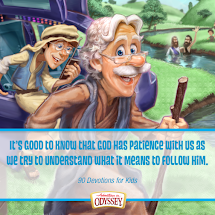 He has delivered on a grand scale. How about you? Have you ever taken in a novel in this fashion? In the era of Netflix and “binge-watching”, it almost seems at odds with the culture, to have a book brought to us in this way. While the novel will be released in its entirety this summer, in the meantime we are getting Belgravia in pieces. Do you think you might try diving in now, to enjoy the episodes as they come, or will you wait it out until July, to have the full novel in your hands? Regardless of which way you choose, you’re in for a treat on many platforms. Don’t miss out on the amazing website that’s been launched in association with the novel. 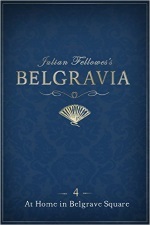 At JulianFellowesBelgravia.com, not only can you listen or read to Episode 1 for free, but you can access bonus features, see the family trees of the main characters, view a map of Belgravia and more. 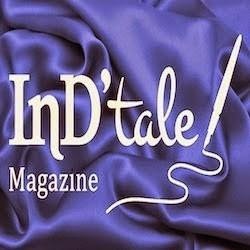 I’ve just begun to peruse this amazing website and plan to continue to visit it as the episodes (and therefore more bonus features) are released. In addition to that, the progressive blog tour continues beyond The Calico Critic to Luxury Reading on May 5th. Be sure to visit all the stops on the tour. There's even an app you can download to your smart phone! 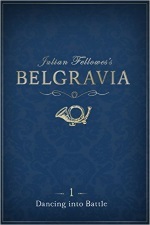 I'm amazed at how much content there is with the launch of Belgravia. How much there is to take in! I hope you enjoy it as much as I have. 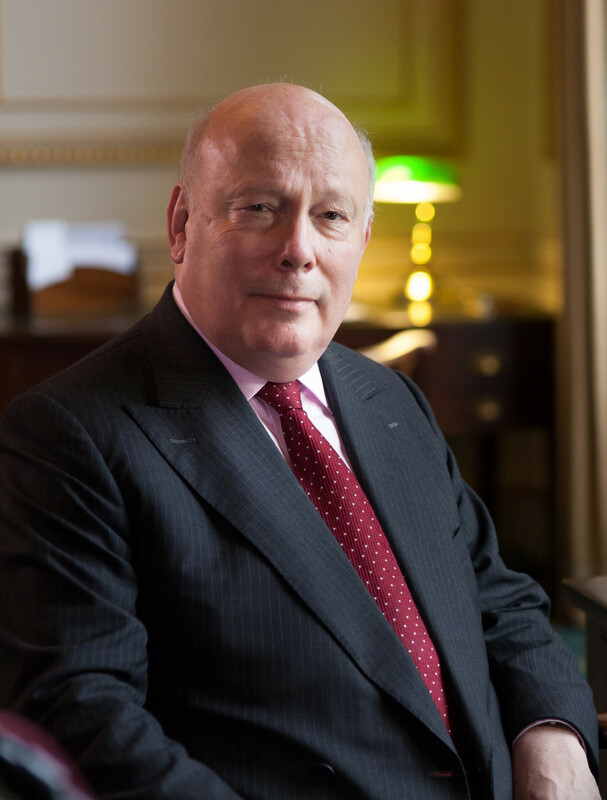 Educated at Ampleforth and Magdalene College, Cambridge, Julian Fellowes is a multi-award-winning actor, writer, director and producer. As creator, sole writer, and executive producer of the hit television series Downton Abbey, Fellowes has won three Emmy awards. Fellowes received the Academy Award for Best Original Screenplay for Gosford Park (2002). His work was also honored by the Writer's Guild of America, The New York Film Critics' Circle and the National Society of Film Critics for Best Screenplay. Other writing credits for film include Piccadilly Jim (2004), Vanity Fair (2004), Young Victoria (2009), The Tourist (2010), Romeo & Juliet (2013), and the upcoming three-part drama Doctor Thorne for ITV. Fellowes also directed the award-winning films Separate Lies and From Time To Time. Fellowes wrote the books for the Tony-nominated stage production of Mary Poppins and School Of Rock – The Musical which opened on Broadway in December 2015, and is written and produced by Andrew Lloyd Webber. Fellowes has authored two novels: the international bestsellers Snobs (2005) and Past Imperfect (2008/2009). Julian Fellowes became a life peer in 2010. He lives in Dorset and London with his wife, Emma. Award winning creator/writer of Downton Abbey presents his latest endeavor, Julian Fellowes’ Belgravia, a new book blending the Victorian-era serialized novel with modern technology. SQUEEEE!!! I am so excited about this novel! Thank you for the review and giveaway! Meeting Charles Pope was a great. The anticipation was thrilling. Thanks for the great recap & review Laura. Thank YOU Laurel Ann! I'm honored to be a part of the tour! I'm enjoying this blog tour very much. But one thing I really don't understand, considering how Charles Pope looks have been described, that no one else - especially Lord Brockenhurst - was startled upon seeing him. Maybe the majority of the people there didn't make the connection with his looks. I think most attendees were more curious as to why this "nobody" was being paraded around like a trophy. It certainly was an interesting scene! Oh, I'm sure the majority (almost everyone) were not familiar with what their hostesses' long-dead son had looked like. But there were at least a few people who had known Bellasis either relatively or extremely well indeed, ranging from Oliver (who had been old enough at 16 to remember his face) to his uncle Stephan - but especially his very own father. If Charles Pope could have been Belassis' "twin brother", it's stretching it a bit too far to insist his looks made no impression whatsoever on them - and especially on their host who clearly deeply loved and is still mourning his son very much. It is nice to hear that this story is living up to everyone's expectations.